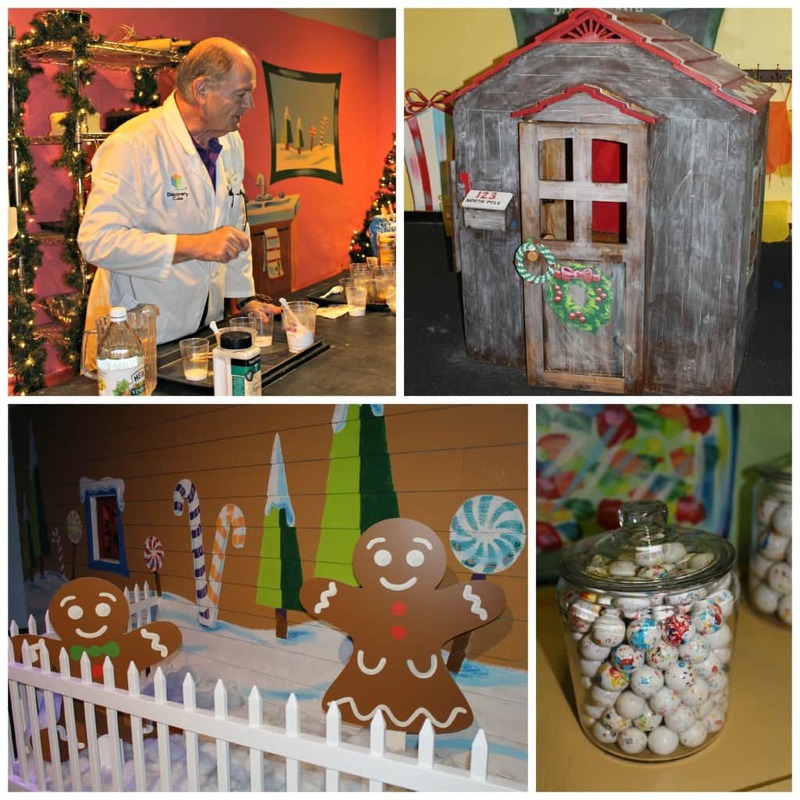 Last winter, Field Trip Boy and I got a sneak peek behind the scenes of Discovery Cube OC’s newest holiday tradition – Winter Wonderfest – where snow and science intertwine! 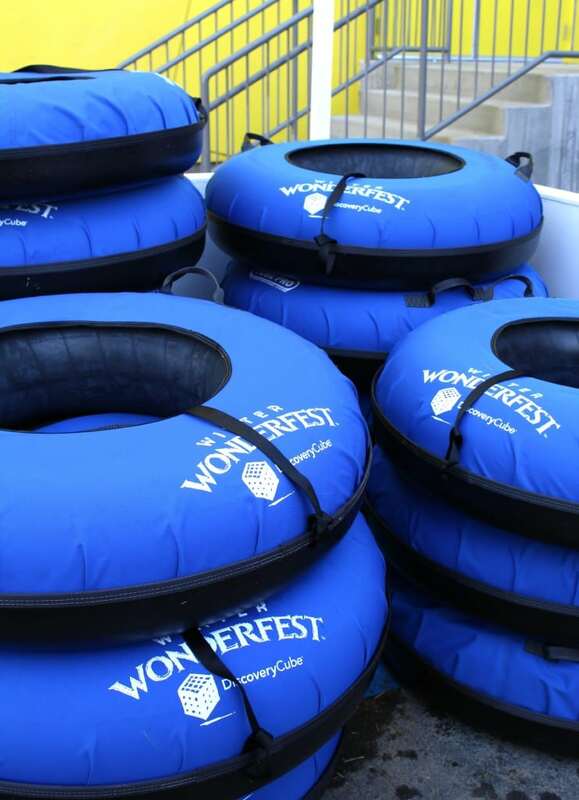 Winter Wonderfest is for guests of all ages including toddlers, elementary school students and their families. 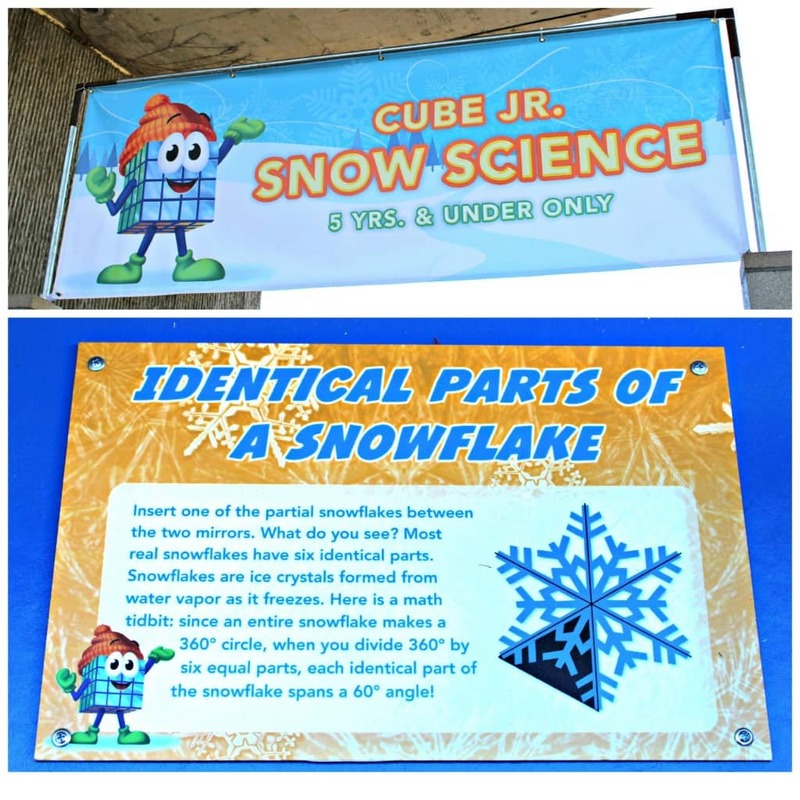 During Winter Wonderfest, Field Trip Boy and his friends learned how snowflakes were formed. 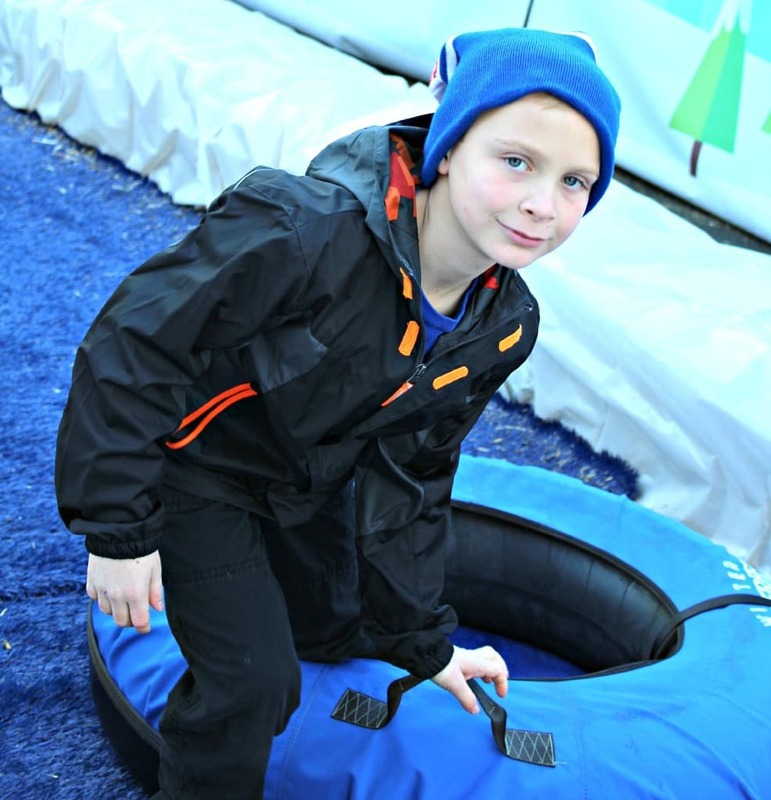 Then they put their knowledge into action with snow sledding, tubing and snow play. 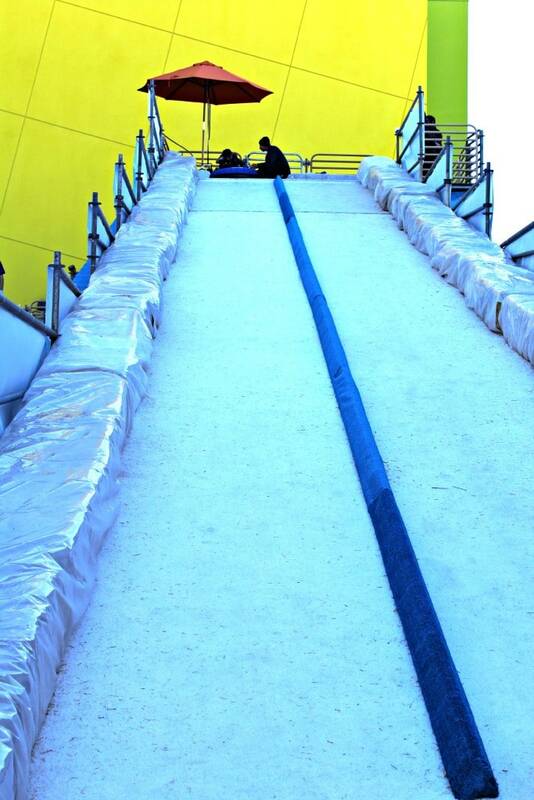 The largest snow slide had a 75-foot long ramp! 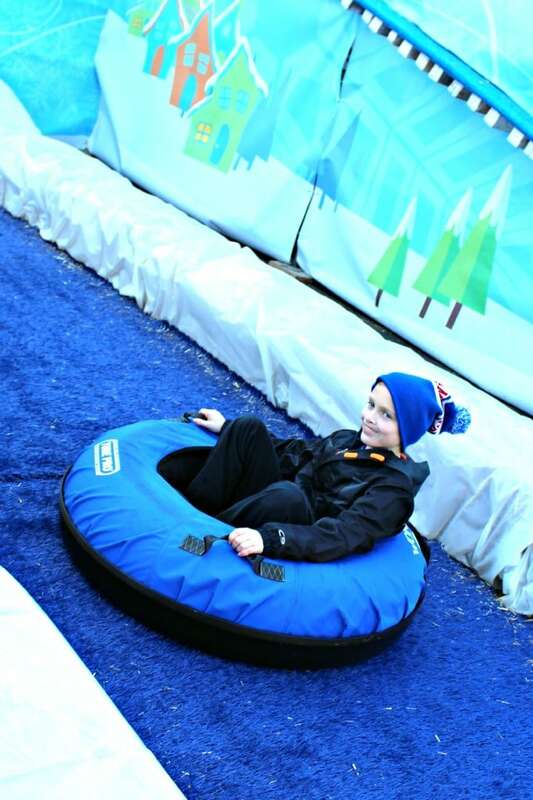 The suggested age for riding the larger ramps is 6+, however younger children are allowed to ride so long as they can hold onto the tube and sled handles comfortably. 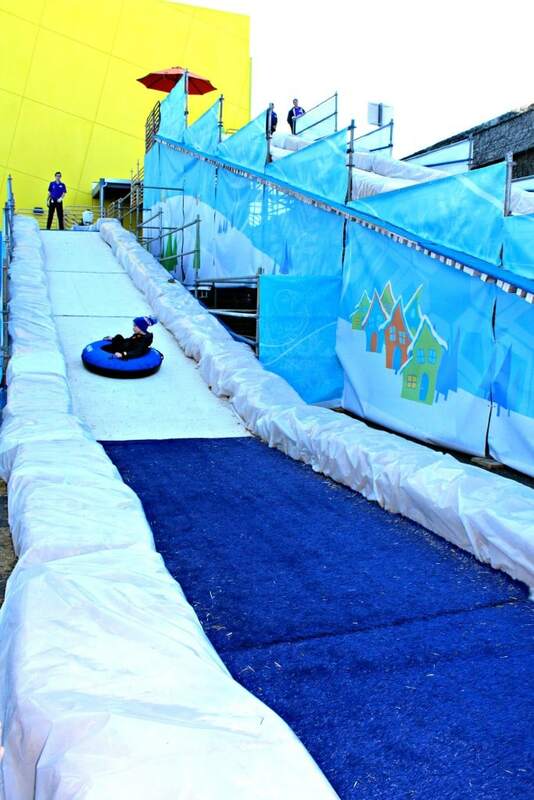 Younger guests can also take part in other activities such as smaller snow and sled ramps. 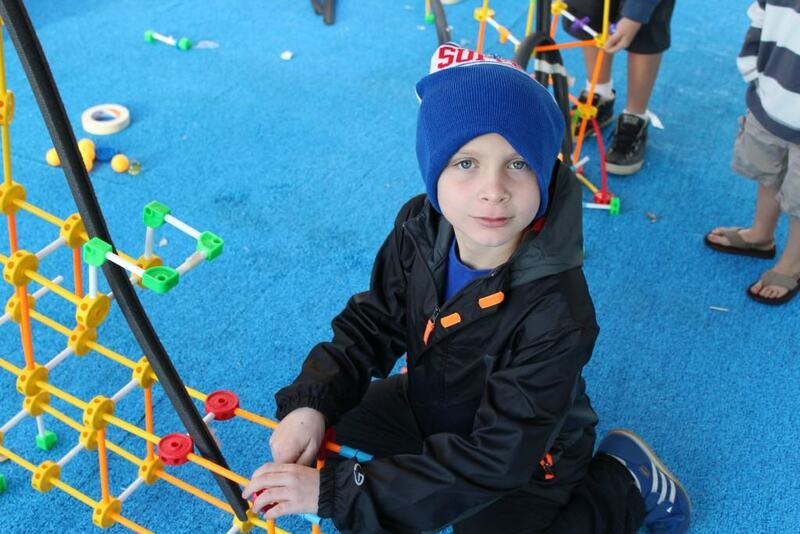 Field Trip Boy especially enjoyed playing in the snow area! Be sure to wear closed-toed shoes though and bring snow gloves, mittens, and other snow-friendly apparel to keep warm and stay dry. It can get pretty cold, pretty fast. 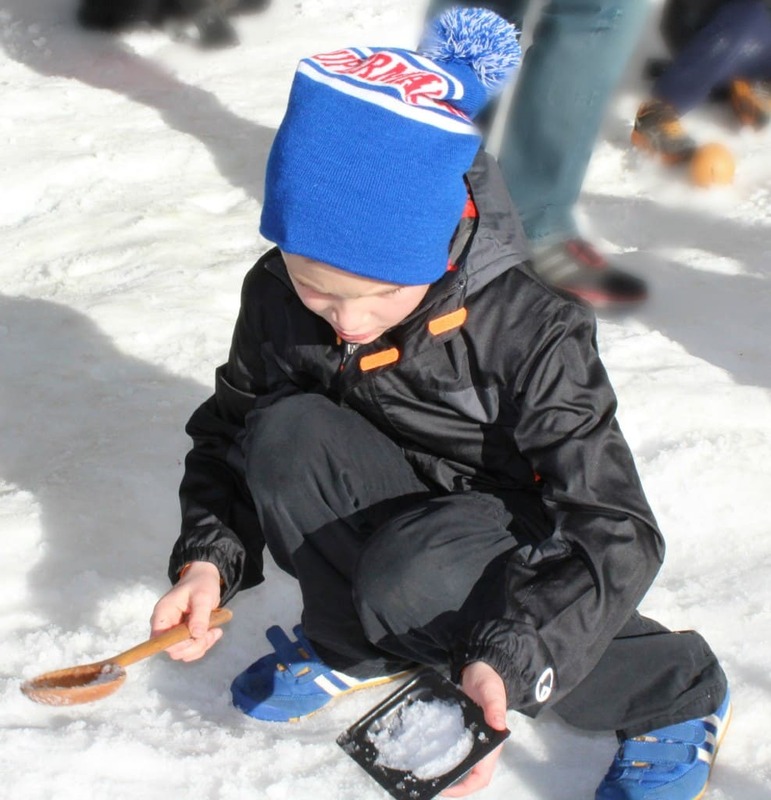 In the snow area children can make snowflakes and build snowmen ’till their little hearts are content! 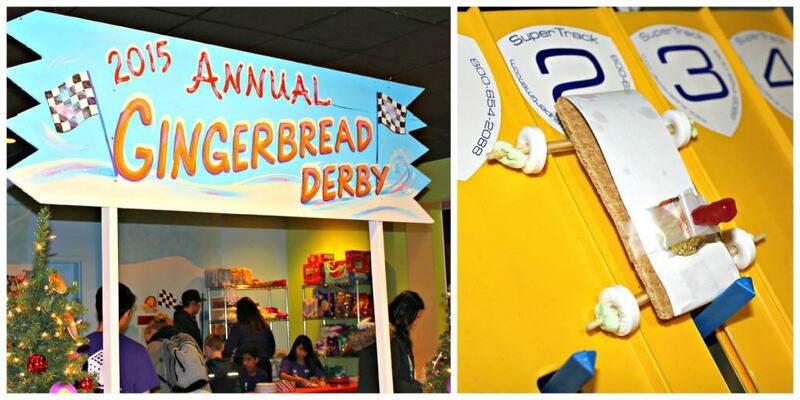 Additionally, Field Trip Boy participated in the gingerbread derby and learned all about the science behind baking in the kitchen science area. Everything was hands on! 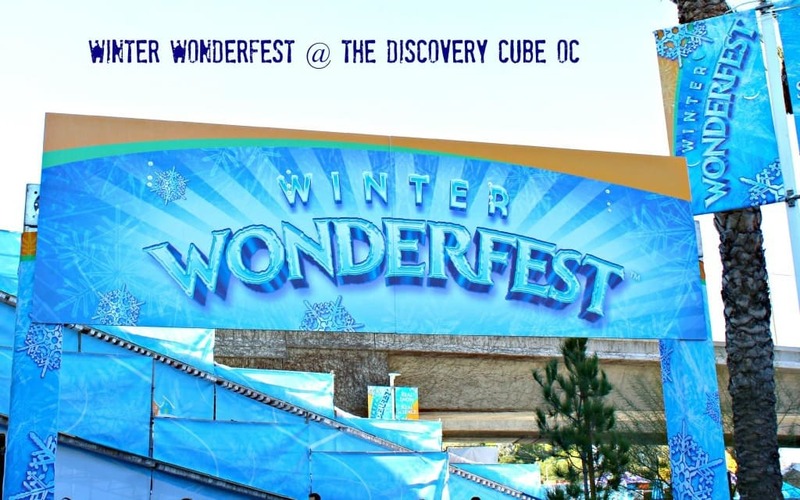 Winter Wonderfest at the Discovery Cube OC runs from December 22 – January 9, 10 am-5 pm. 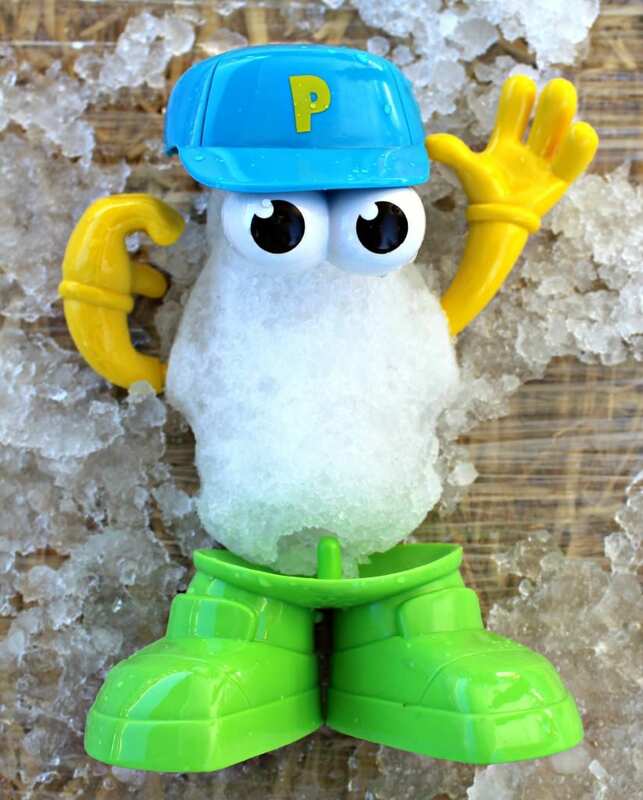 So put on your beanie, dig out your snow jacket out the closet, and get ready for winter in Southern California! We pay entrance. Then do we have to purchase tickets for additional ride and activity? Can you explain please. I recommend using the code “WINTER” or “SNOW” to get $5 off your ticket!